and soft texture, at a price you could afford? the phone that you want. in Sandstone Black or White. 8.65mm thin. Choice of two protective cases: Brilliant Red and Sensational Black. doesn’t add to your experience. tariff and bundle you want to be on. you travel for cheaper calls, text messages and data. moments beautifully in any light and style. 4G connectivity – for fast speeds when you need them. handsets to use the latest and most advanced Android operating system. ever opening the Twitter app. device to process more information at rapid speeds. batteries so you are never caught short. 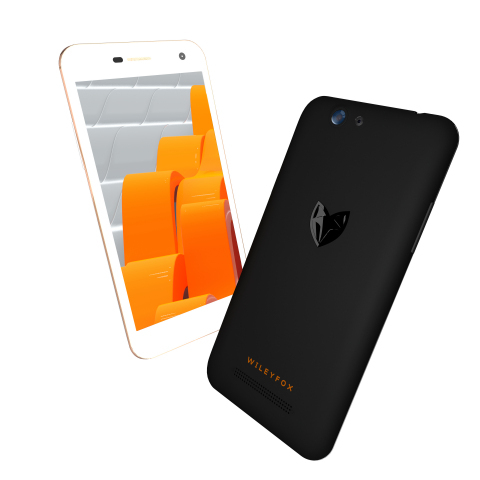 handsets launched in August 2015, the Wileyfox Swift and Wileyfox Storm. Amazon, delivered in fits-through-your-letterbox packaging. £114.99/€149.99 and Spark x £129.99/€169.99. For more information, visit https://www.wileyfox.com.